Production practices and oenological techniques change; the winery’s equipment is increasingly modern and controlled to guarantee impeccable quality at every sip. The connection and respect for the land remains the same, which supports the wine production together with a proud nature, its wild plants and animals, which are beautiful to observe in the vineyards or on their margin during walks with customers or on working days in the rows. Everything contributes to the structure, the aromas and the taste of wines, along the optimal climatic conditions of the Oltrepò Pavese that, differentiated in the microclimate of each vineyard, produce an extraordinary variety of typical DOC and IGT wines as well as VSQ sparkling wines. Obtained by the vinification of 85% Pinot Grigio and 15% Chardonnay. This wine takes its name from a strip of land that was in the past cultivated by the tenant farmers, “Fittabili” in Italian. Color: Straw yellow with golden reflections. Aromas: White flowers, ripe apple and pear. Taste: Dry, fruity and full-bodied on the palate. Pairings: Excellent as an aperitif, goes well with cold cuts, seafood, apetizers and shellfish. Produced from Barbera grapes grown on a steep terrain along the rural road taken to reach the woods of Bosco Longhino. Our own winery is named after this wood parcel. Color: Intense red with violet reflections. Aromas: Vinous and fruity, with hints of marasca cherry and violet. Taste: Dry with tannin, full-bodied with medium persistence. Pairings: first courses, boiled and braised meat. Obtained from 85% Croatina grapes and 15% Barbera and Uva Rara. The grapes are grown on land bought by our great-great grandfather Edoardo from Prete (Priest) Bertino. Color: Deep ruby red with violet reflections, brilliant. Aromas: Intense, frank and penetrating with hints of berries. Taste: Good structure and tannic texture, dry but with an exuberant body. Pairings: It goes well with boiled meat, risotto and sausage, and with traditional Italian “cassoeula”. 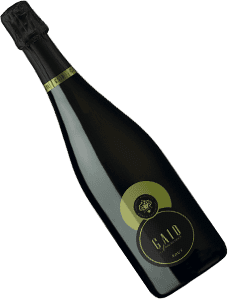 Obtained from the mixed grape vinification of Barbera and Croatina, which give structure and longevity, and Uva Rara, and Vespolina, which enrich the olfactory yield and taste. Vinified in steel tanks at a controlled temperature, ripens in the barrique. Color: Garnet red, developing orange hues as it ages. Aromas: The nose reveals characteristic wine notes, hints of plum and currant with spicy nuances. Taste: Particularly robust, clean and full-bodied, velvety wood tannins. Pairings: Excellent with polenta and game. Obtained from the vineyard of Cabernet grapes flanked by oaks native to the Oltrepò region. Aromas: Akin to a walk in the woods: currants, blackberries and a slight herbaceous aroma with a subtle hint of green pepper. Taste: Licorice, coffee and wood, which result in a potent but soft tannin. Pairings: With great meat and game, excellent with aged cheese. Obtained from the vinification of Riesling grapes. Color: soft gold with soft green reflections. Aromas: Fine tones of apple and fruits that gently bind to sensations of minerality. Taste: Fresh with finishing mineral notes. Pairings: With light apetizers, delicate first courses, white meats and goat’s cheese. Obtained from purely Pinot Nero grapes. Vinified in steel tanks at a controlled temperature, ripe with a slight aging in the barrique. Its namesake comes from a combination of the names of Danila’s two children Greta and Maci (an endearment used for Massimiliano), fashioned during a walk through the Pinot Nero vineyard as she called for the pair. Color: Ruby red with violet reflections, limpid. Aromas: Good intensity, penetrating with hints of licorice, currant jam and spicy nuances. Taste: Full-bodied, with hints of tobacco, spices, leather and wild berry jam. Pairings: Ravioli, hot salami and feathered game. Obtained from the white vinification of Pinot Noir grapes, thus separating the skins from the must before fermentation. The name derives from the vineyard, which lies close to a hill where daisies bloom and features a protected species of wild orchid. Aromas: Elegant and intense floral notes and white pulp fruit. Taste: Balanced, harmonious, with a pleasant persistence. Pairings: To be enjoyed young, as an aperitif. Accompanies cold cuts, shellfish and delicate first course. Obtained from the white vinification of Riesling grapes. Grandfather Tullio purchased land featuring an iron cross, mounted by the previous owner, Mrs. Angioletta, in hope for the safe return of her son from the war. This cross, which still stands to this day, honors the promise made to the mother never to remove it, giving this wine its name. Aromas: Delicate, green apple scent and balsamic sensations. Taste: Fresh and delicate, with a good persistence. Pairings: It accompanies vegetable-based appetizers well, delicate first courses and white meats. Obtained from 85% Pinot Grigio grapes and 15% Pinot Nero. The grapes grown near an area left uncultivated, where thorns and blackthorn grow, and candid spring blooms offering nectar to bees and pollinating insects. In summer, blackberries of the bramble and the autumn drupes of the blackthorn are a source of food for wildlife until late winter. Color: Bright straw yellow with coppery nuances. Aromas: Particularly elegant characterized by fruity floral notes. Taste: Balanced, with pleasant persistence. Pairings: Accompanies apetizers, pasta dishes and fried fish. Directly translates as ‘Sleeping Beauty’ but could also be referred to as ‘the wine of the night’ because, after crushing the Pinot Nero grapes, the maceration macerates in the fermenting must for one night only. Color: Rosè leaning towards soft cherry. Aromas: Delicate aromas of currants and raspberries. Taste: Dry, harmonious with good persistence. Pairings: Goes well with cold cuts, salmon dishes, shellfish and pizza. Obtained from 85% Chardonnay and the rest Pinot Nero. ‘Cervo’ meaning deer, referring to their habitat close to the vineyard located between the Versa stream and a pine forest. Aromas: Sharp with fruity scents and a delicate herbaceous accent. Taste: Balanced, fresh and persistent, with a good structure. Pairings: Accompanies desserts and very fine pastries, splendid with indulgent desserts. The symbol of local enology obtained from the purity vinification of Croatina grapes. This single-vine wine comes from the land belonging to our family for five generations, located in the homonymous Bosco Longhino woods. Our ancestor Edoardo Faravelli made this same wine. Aromas: Fine, intense, penetrating and vinous, with hints of marasca cherry and blackberry. Taste: Exuberant body with depth, slightly tannic, medium to long persistence. Pairings: To be enjoy in its youth, combine freely with every refined cuisine such as braised meat “ravioli”. Wine produced in a small area of the Oltrepò, obtained from the vinification of mixed grapes: Croatina, Barbera, Uva Rara, Pinot Nero and Vespolina grapes. Color: Bright red with violet reflections. Aromas: Fine, penetrating with hints of cherry jam and withered flowers. Taste: Sweet and caressing, with a soft and balanced body. Pairings: Goes well with spicy cheeses and jams, chestnuts, pies, delicious with strawberries and peaches. Obtained from the purity vinification of 100% Pinot Nero grapes harvested in boxes. After a soft pressing and fermentation in stainless steel, it follows the traditional fermentation in bottles of a minimum duration of 18 months. Color: Straw yellow with golden hues. Pleasant effervescence with fine and persistent perlage. Aromas: Complex, broad, austere, delicate with floral freshness and mineral notes. Taste: Complex, dry, citrus freshness, seductive toast, good harmony, elegant, with intense structure and a prolonged mineral aftertaste. Pairings: Aperitif for elegant occasions, for the whole meal for menus based on fish, shellfish and white meats. Obtained from the vinification of 85% of Pinot Noir, and 15% Chardonnay grapes using soft pressing, fermentation in stainless steel at a controlled temperature, and refermentation in an autoclave. Color: Bright straw yellow with fine and persistent perlage. Aromas: Floral wreaths of acacia with hawthorn, fruity notes of apple and white peach. Taste: Pleasant freshness with a soft and savory character. Pairings: Excellent as an aperitif. Color: Clear and bright straw yellow. Aromas: Intense aromas with aromatic scents of flowers, peaches and apricots. Taste: Sweet, balanced harmonious with long persistence. Made from centenary Moscato vines, which grow on the Bosco Longhino Woods terrain, first cultivated by great-great grandfather Edoardo. Color: Straw yellow with amber reflections. Aromas: Intense and intriguing, with hints of peach, apricot and almonds. Taste: Sweet but not cloying, fresh with an aromatic persistence. The sulfite content, limited to those generated by the natural fermentation process of grapes, is less than 10 mg / 1. Produced occasionally, from the vinification of selected grapes. 90% Croatina and 10% Barbera. The aging occurs in stainless steel barrels before a slight passage in barrique. Color: Ruby red that takes on amber reflections over time. Aromas: Intense, vinous with hints of cooked fruit and withered flowers. Taste: Dry but well balanced. Pairings: First courses with meat sauce and second courses based on game.